As a breeder , I am sometimes astonished to see the similarities between canine puppies and human babies in the first 8-10 weeks after they their birth. Newborns, both puppies and babies alike require gentle and consistent care. At birth puppies are blind, deaf, cannot regulate their own body temperature. Human babies are somewhat similar as they are born with their eyelids closed, their sight and ability to control body temperature also develops gradually over the first few days/ weeks of their lives. Usually when a pet parent receives their new pup from a breeder they don’t see many of these important milestones in their pup’s life which have already been achieved by the time their french bulldog puppy comes home. It is however important to know about all the events and milestones that shape the first eight weeks of your new pup’s life. Why you ask ? Well, as a breeder, I always says this information helps you understand your pup’s behaviour patterns and personality. Why is this important ? This is important because it helps you in the long run bond strongly with your pup. A strong bond ensures a stronger pet parent and pup relationship. Believe me when I say it is this emotional bond more than any amount of training that makes your puppy listen to you as he or she grows into adult doggy hood. I believe certain milestones achieved with your pup go a long way in determining doggy behaviour. If such emotional milestones are not achieved at all or certain milestones are taught in an improper way this can sometimes impact your puppy’s well-being and behaviour well into adult doggy hood. I knew about a puppy once who always got really aggressive and growled if anyone came even close to him while he was eating even as a full grown dog. A little bit of research by my friend showed that his pup had been the smallest in his litter. This puppy had to fight hard when solid food was first introduced as their breeder had the practice of feeding the puppies together rather than give them separate bowls. The result was a full grown dog who still continued to growl even at the his own pet parent (only when his full food bowl was around of course) even though his pet parents gave him his food bowl. Emotional behaviour is more relevant for Frenchie puppies since French bulldogs are a more sensitive pedigreed breed. But this example is more of the exception from the rules because any Frenchie can be food aggressive. 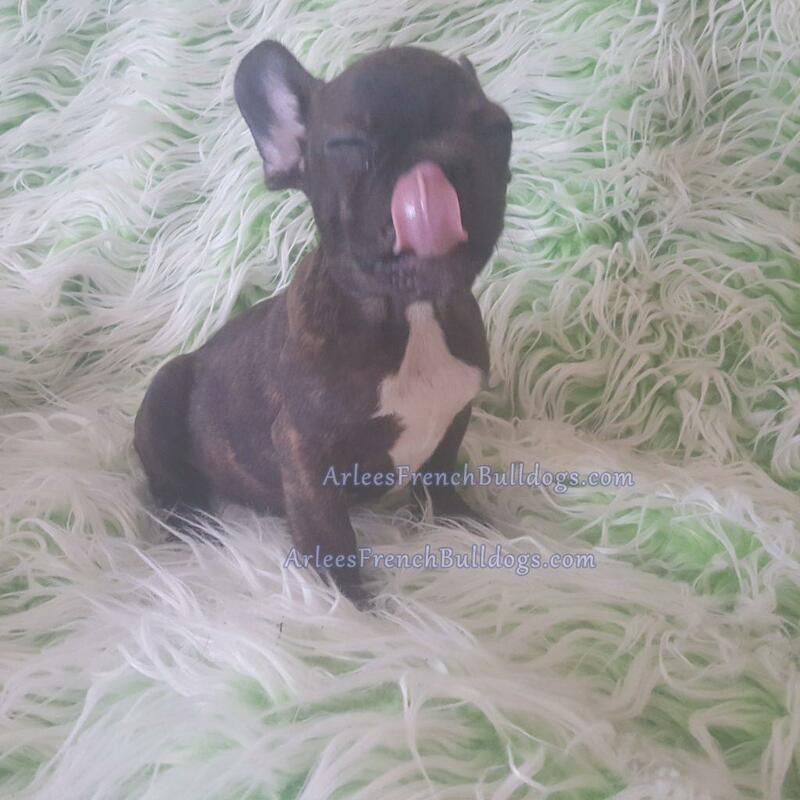 So what does happen in the first few weeks of your french bulldog puppy’s life. Your Frenchie puppy mostly sleeps, and when awake nurses (milk) from his or her mother. No solid food as yet. Your puppy’s eyes, nose and ears begin working properly only around week three after birth. Their body weight doubles in the first week and only their senses of scent and touch are somewhat functional. Around the second week after their birth puppy’s ears and eyelids begin to open and the sounds they make change from grunts and mews to whines, tiny cute barks and yelps. During this time it is very important to watch them carefully, keep an eye on their body temperature and help balance it for them and watch their poop. Usually during this time they are with their mother in a whelping box in a warm area away from too many humans and family areas of the house. The emotional well-being of the puppies is imperative at this stage and parent separation greatly affects new puppies. Like I said before, too early parent separation or any other negative emotional behaviour or characteristics developed at this time can have a life long impact on the puppy and can develop into nasty negative habits in adult dogs. Week three onwards puppies can start to be given basic training for separating sleep areas and play areas. Also now is a good time to start gentle training of the puppies. This is the stage to gently and at a very basic level teach them about separate areas for pooping and keeping clean non poop areas which are to be used for sleeping and playing. So far it’s more than likely that many puppies may eat their poop at this stage as they are still learning the how to be a dog basics. However their eating their own poop or litter poop eating at these times ( and I have explained this in detail in my blogpost on poop eating) is not usually harmful. They also usually either by themselves or with the help from mommy dog do stop this casual or occasional poop eating quite naturally. At this time puppies are usually trained with their moms and their litter. Your puppy’s sociability and emotional security starts to develop in these weeks and what they learn or fail to learn affects how well your puppy gets along with other dogs and humans as your french bulldog grows into adulthood. The mommy dog would have already started to teach her puppies (in her own canine way) the basics of how to be a dog’. These include litter rules and discipline, basic doggy or puppy social skills and proper canine etiquette and respect for the pack. Around four weeks onwards puppies begin moving away from the whelping box and sleeping area. Exploration begins now. Socialising with litter siblings, humans, family and the world around starts now too. 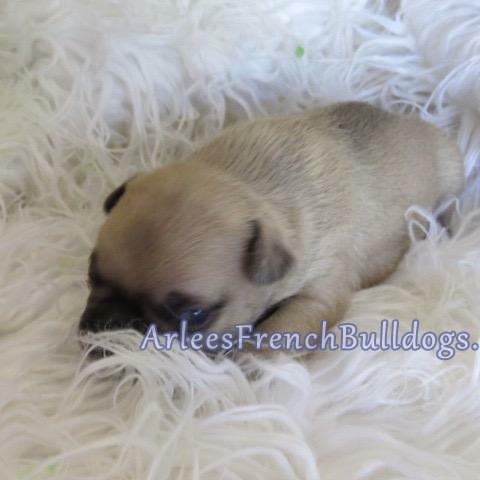 Many breeders also start a gentle weaning from mom doggy week four onwards. and some which when combined also protect against leptospirosis or coronavirus. Your vet may also recommend a kennel cough or bordetella vaccine.Bordetella is usually recommended to be done after thirteen weeks. PV (parvovirus) is usually around seven weeks and DHPP is three to four weeks later. Solid food is introduced around this time as well. Another milestone is puppy teeth begin to erupt. This span of is three to four weeks is an emotionally upheaving time for your puppy. If you have already been in touch with the breeder and are waiting to receive your puppy, if your breeder allows this may be a great time to visit your puppy. Puppies start to develop socialisation skills and emotional intelligence in these weeks when in a litter or their pack. They learn about and learn to follow a pecking order. Temperaments start to develop, the dominant ones eat first and often take their pick of toys and the gentler ones are now seen to be more laid back. Your french bulldog now onwards starts to accept others as part of its family and looks beyond mommy dog. It is around about now that you will receive a call from the breeder asking you to come on over to finish the formalities and take your puppy home.